The Minshan Hotel (Minshan Fandian) is a 5-star deluxe hotel within easy reach of the popular attraction Potala Palace.Situated on the first floor, the Chinese restaurant serves foods from all over the country and has eight private dining rooms. 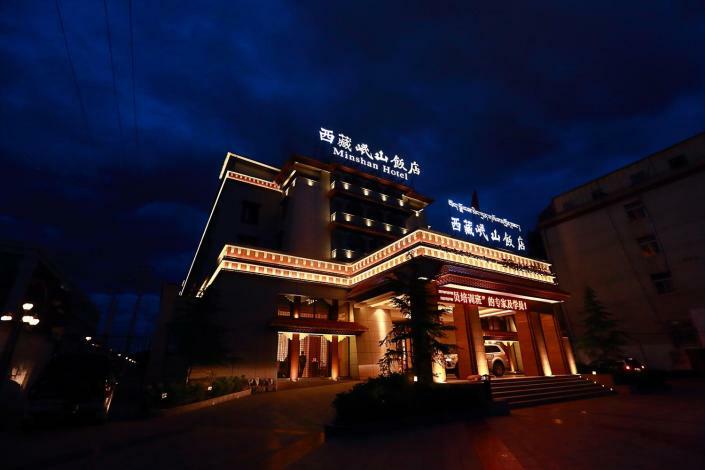 The restaurant on the top floor offers international foods and Chengdu dim sum.Additionally, event planners are invited to make full use of variously-size meeting rooms available in this Lhasa hotel. -80 km to Tibet Gongga Airport.